The 'Industrial Revolution' was a pivotal point in British history that occurred between the mid-eighteenth and mid-nineteenth centuries and led to far reaching transformations of society. With the advent of revolutionary manufacturing technology productivity boomed. Machines were used to spin and weave cloth, steam engines were used to provide reliable power, and industry was fed by the construction of the first railways, a great network of arteries feeding the factories. Cities grew as people shifted from agriculture to industry and commerce. Hand in hand with the growth of cities came rising levels of pollution and disease. Many people lost their jobs to the new machinery, whilst working conditions in the factories were grim and pay was low. As the middle classes prospered, social unrest ran through the working classes, and the exploitation of workers led to the growth of trade unions and protest movements. 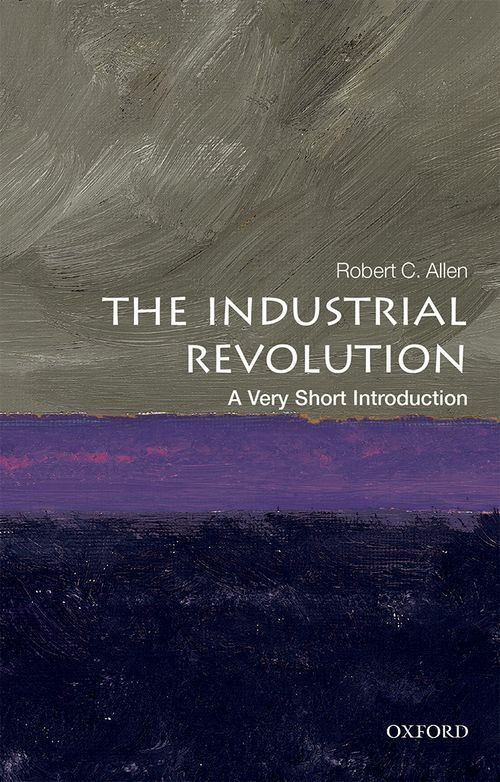 In this Very Short Introduction, Robert C. Allen analyzes the key features of the Industrial Revolution in Britain, and the spread of industrialization to other countries. He considers the factors that combined to enable industrialization at this time, including Britain's position as a global commercial empire, and discusses the changes in technology and business organization, and their impact on different social classes and groups. Introducing the 'winners' and the 'losers' of the Industrial Revolution, he looks at how the changes were reflected in evolving government policies, and what contribution these made to the economic transformation. Bob Allen is Global Distinguished Professor of Economic History at New York University, Abu Dhabi, and a Senior Research Fellow of Nuffield College, Oxford. Allen has written on English agricultural history, international competition in the steel industry, the extinction of whales, and contemporary policies on education. His articles have won the Cole Prize, the Redlich Prize, and the Explorations Prize. His books include Enclosure and the Yeoman: The Agricultural Development of the South Midlands, 1450-1850 (2009), and Farm to Factory: A Re-interpretation of the Soviet Industrial Revolution (2003), both of which won the Ranki Prize of the Economic History Association, The British Industrial Revolution in Global Perspective (2009), and Global Economic History: A Very Short Introduction (2011). Bob Allen is a Fellow of the British Academy and the Royal Society of Canada.